In the spring of 2010 the St. James Hotel in Cimarron, NM graciously closed its doors to guests so that my group—Central New Mexico Ghost Investigations—could do a private investigation. The present manager and a past manager both took the time to share personal experiences they had at the hotel. I was really impressed they both care a great deal about their town and the St. James. Judy, an employee of the hotel, also spent a lot of time with our group talking to us about the hotel’s paranormal history. The information these three shared with us could easily fill a book so I will just share some of the highlights here. In another post I will share some of the experiences myself and members of my group had during our investigation of the hotel. But here is something interesting we captured. We placed one of our DVR cameras on the second floor facing into the Poker Room. We captured this lamp moving when we were taking a break after midnight, on the hotel’s front porch, so no one was on the second floor; the security guard was downstairs in the lobby during this time as well. The window was open but there was no wind. The word Cimarron means ‘wild and unruly” this is a very appropriate name because both the town and the hotel have a very violent history. 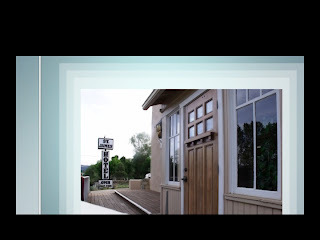 Several resident ghosts have made themselves known over the years and even more activity comes and goes because the hotel is right next to the Santa Fe Trail. Also the hotel was used as a make shift morgue in the early days. Many people died in the hotel or where brought into the hotel to die. One well-known ghost is T.J. Wright. He was shot in the hotel and then taken back to his room, number 18, to die. The previous owner’s wife when she entered this room to discuss the renovation of it was knocked to her knees twice by something unseen. Her husband decided the room should be left undisturbed and locked to the general public. The present manager told us he was a skeptic until he had his own experiences in Room 18—the room remains locked to this day. The hotel has an entity they call “The Imp.” Several people have caught glimpses of him; he is described as older, short, with a pockmarked face. Judy works the front desk and one day when she returned to her workspace she found that the cash drawer, which she had not opened since early morning, had been emptied. She searched the area and found all the bills stacked neatly under a book on the counter. She has also been locked out of the office area at the front desk several times. One female guest who stayed at the hotel the year before we did our investigation got more than she bargained for. 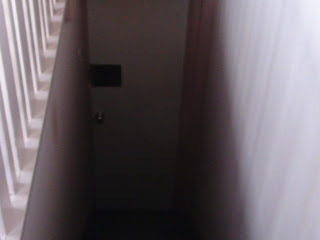 She later admitted she had verbally been disrespectful to the ghosts during her stay on the second floor of the hotel. As this guest walked down the staircase to leave, Judy heard a loud banging, like a suitcase falling down the stairs. When she went around the corner to investigate she found this female guest on the floor at the bottom of the stairs. Flustered the guest asked for help leaving the hotel—which was accomplished quickly. She later called the hotel and explained what she had experienced. As she walked down the stairs she felt a very angry presence walking up the stairs toward her—this presence that she did not see-- hit her real hard. She then felt a much more positive presence that seemed to protect her as she fell. The hotel’s protective spirit is Mary Lambert. She was Henry Lambert’s second wife. A past guest caught a photo of what is believed to be her profile; it is displayed on the wall above the staircase on the second floor. Henry was the original owner of the hotel. Employees and guests have felt Mary’s presence over the years—while alive she ran the hotel for many years. She announces her presence with a distinct floral scent. Our group had an experience with her—but that is for another post. Her room is just down the hall from T.J.’s. 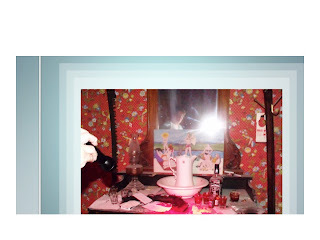 Often when people witness paranormal phenomena they state they saw the figure, object, or light etc. out of the corner of their eye. This is a very common experience. When people turn to see what is there, it is inevitably gone. Because this experience is so fleeting people question if they actually saw something or if it was just a figment of their imaginations. 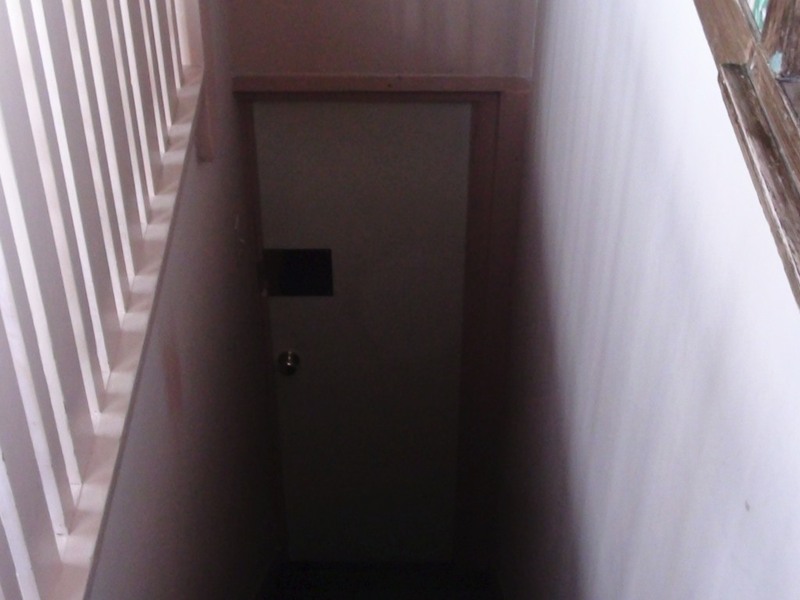 I personally experienced the “corner of my eye phenomena” when I bought a newer home. The lady who sold it to me had lived in the place for several years. When she and her husband first moved in he was ill. Two years later he died in the master bedroom. His wife sold the house to me so she could move closer to remaining family members. I didn’t remember what she had told me about her husband until I had lived in the home several months. 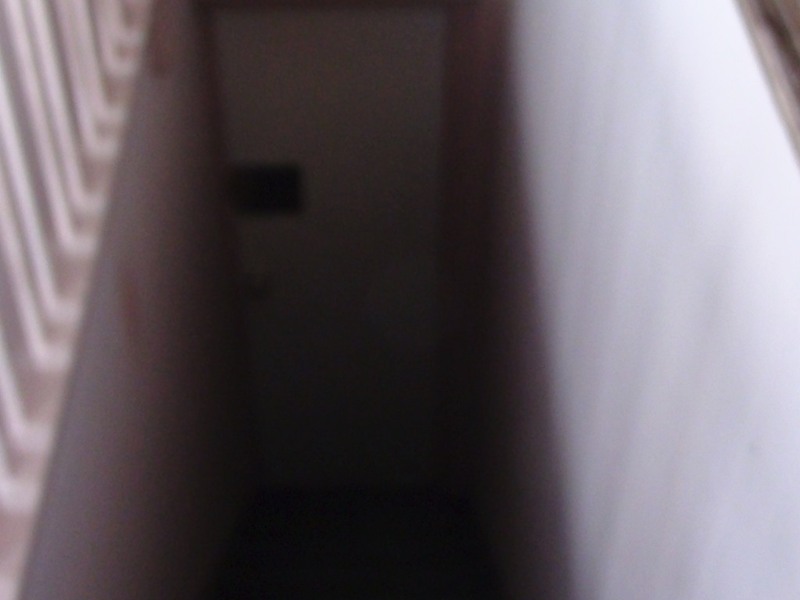 I was sitting in my living room reading a book when I saw out of the corner of my eye what appeared to be a figure of a man walking past me down the hallway heading toward the master bedroom. I dismissed what I saw, it was late afternoon and I rationalized it by convincing myself it was just the afternoon sunlight hitting the wall at a strange angle. 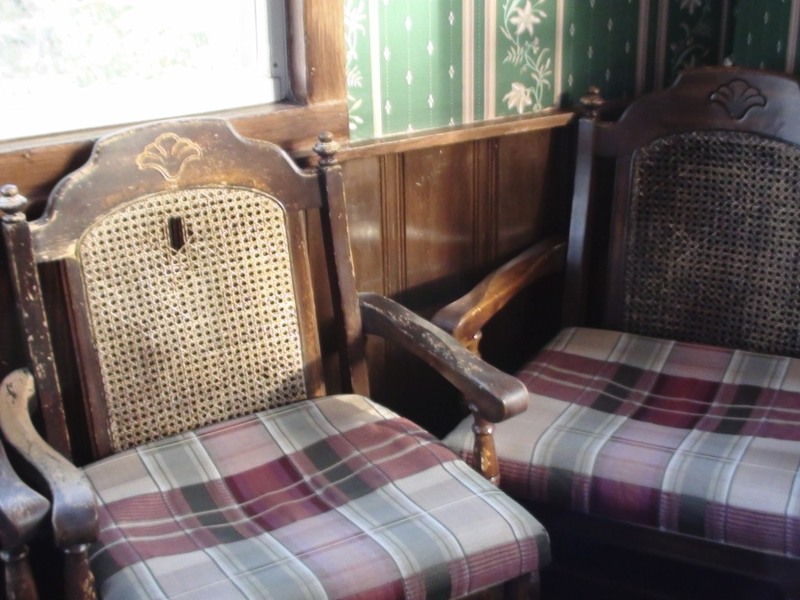 A couple of months later I was sitting in the same chair and again I caught a glimpse of a male figure walking past heading to the master bedroom. This time I turned my head quickly but nothing was there. What was odd is I knew it was a man and I even remembered the color of his shirt. This time I didn’t question what I saw in fact I started to wonder if it could be the husband who had died. In the next few months I saw this male figure several more times, always out of the corner of my eye, always in the hallway heading back to the master bedroom. Even though I saw it fleetingly it never changed its course or turned and I saw it about the same time of day. I concluded it was just a residual haunting of the house. Looking back I wonder why it never scared or startled me. My reaction instead was curiosity. My home didn’t hold this memory for long because after that first year I never spotted the male figure again. Many people use the terms ghost and spirit interchangeably. I often do this myself—it is widely accepted usage. But if you focus upon the definition for a ghost and the definition for a spirit you will find significant differences. Most dictionaries define ghosts as: an apparition of a dead person that is believed to appear or manifest to the living. Notice the wording, “believed to” even writers of dictionaries do not want to commit to whether ghosts exist or not. Ghosts are most often connected to hauntings of buildings or objects. They are the mischief-makers, the scary ones, or the unhappy Poltergeists, which like to move objects and bang things around. They are the lost souls who need to be told to move on. They can be residual or intelligent. 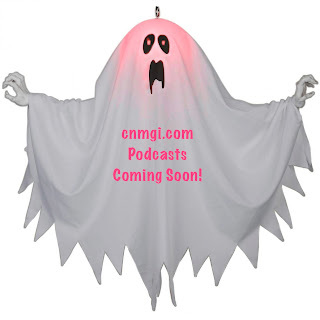 I will discuss the difference between residual, intelligent, and Poltergeist ghosts in a future post. Ghosts don’t have much to do with the living except to make us jump or make us take note that they are there. Some can be forceful and angry. When they are around you feel tingling sensations and cold or warm spots. Spirits have a much kinder or gentler reputation. Most dictionaries define spirits as: the part of the person, emotions, character, and soul etc., which survives after death. Notice there is no skepticism here on the part of the dictionary writer. Why is our society so willing to believe in one and not the other? Spirits are considered our guides. They are often associated with a loved one who has died and then have come back to help their living relative. They never frighten us or do us harm. They often will move an item belonging to the living and then replace it several days later. They sometimes touch the living on the arm, hair etc. for brief moments. Spirits are the masters of subtlety. Spirits have moved on but they come back to provide comfort. Below is a list of things you should consider if you are trying to decide whether ghost hunting is for you. In previous posts, I have talked about the essential equipment every ghost hunter should have when they go out on an investigation. 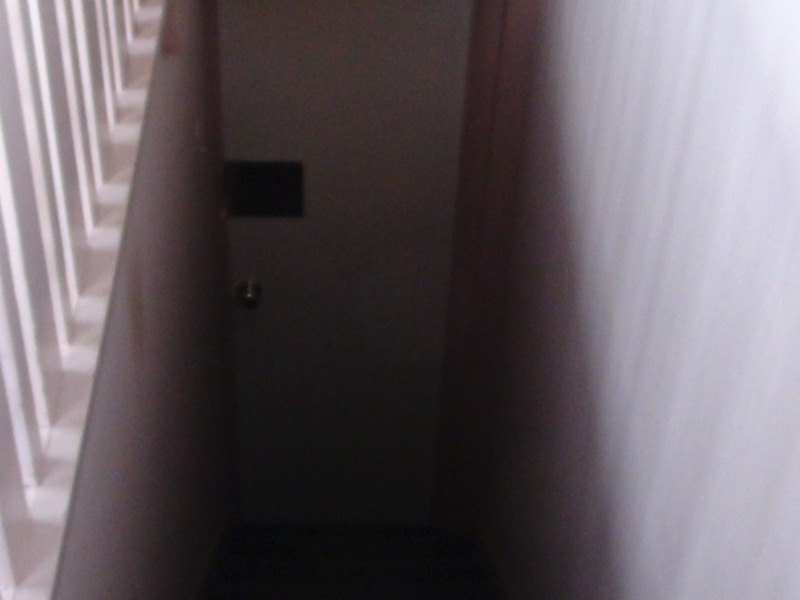 Equipment is necessary but even more important is what the investigator “expects” to get from a ghost hunt. I decided to write this post because ghost hunts are rarely like what is portrayed on television. 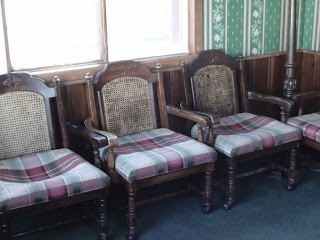 First and foremost ghost hunts demand each investigator have a lot of patience. In a realistic ghost hunt be prepared to wait, listen and observe everything. Some investigators even state to ghost hunt you should handle boredom well. I personally have never been bored during a hunt. I know from experience that things always happen when you least expect them to-- so this keeps me alert and interested. A trait that is very necessary to have is the ability to stay calm even in a stressful situation. Having teammates that have your back and who are on the same page helps with this. Another essential trait is the ability to be open to new experiences. You can remain a logical skeptic, but at the same time, it is vital you not close yourself off to things just because they might challenge your beliefs. Can you handle close, dark spaces? Do you scare easily? Are you usually calm in stressful situations? Do you get frustrated quickly? How would you react if you encountered something that doesn’t fit within your typical schema? Do you panic easily? Finally, are you willing to accept that most phenomena you encounter will have a rational explanation? Are you easily influenced by the reactions of others around you or can you make up your own mind? Can you stay focused even with other activity around you? Are you willing to follow the rules set by the team? Certain weather patterns help spirit activity become more apparent to us humans. Unfortunately wind is one of these. Why I say this is unfortunate is because we often pick up more paranormal activity during wind storms but the activity we pick up such as footsteps, and voices, can be a challenge since you have to filter out the spirit noise from the wind noise. It is logical that spirits do use wind as a vehicle to communicate. Wind stirs up more static electricity in the air. Many paranormal investigators feel that static electricity help spirits gain energy to manifest. In the spring months in the west where I live stronger windstorms occur that produce dust storms and sometimes, dust devils, which makes static electricity stronger. Our dry winter days also create similar conditions. My group has observed this spirit activity in several ways. Through EVP sessions, on our PX Box, and on our Ghost Radar apps which become much more active and seem to join the conversation. Also there are more noises in general, like footsteps etc., that appear to be trying to get our attention. But as I mentioned above this is unfortunate because this evidence is hardest to prove because a skeptic would still state that the noises we hear are just a result of the wind. Ironically they would be partially right, it is stirred up by the wind but not all of it is just the wind. Update: On Good Friday we did an impromptu EVP session on a clients' back porch. We had experienced activity in this spot before. We used Bill Chappell’s PX Box, a digital voice recorder, and a Ghost Radar App on my android phone. It was a very windy night. 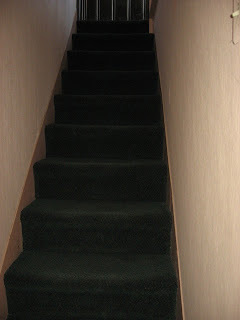 After a few typical EVP questions the owner of the house requested the spirit, who was giving us direct answers to our questions, tell us a story. It was amazing. None of us at the table had been talking about Easter or Good Friday but the PX Box started listing words and short phrases. We listened as it stated: died, human, sins, many years ago, relived, Jesus. It repeated several of these words and then it stated the professions of some of us at the table. After we put two and two together we realized the spirit was telling us the Easter Story. None of us are particularly religious so it took us a few minutes to figure this one out. You can’t make stuff like this up. This is why I love ghost hunting so much. If you read my posts and you like what you read let me know. You can leave comments at the bottom of each post I publish here. I also encourage people who disagree or have a different opinion than me to leave comments. What I publish here is obviously my opinion but I always consider other points of view. Finally, if you have something to add please feel free to participate. I do moderate all comments so abusive posts or ones that have a sole advertising or negative purpose will not be published. The only other comments that will not be seen are ones that do not address the topic at hand. I also encourage questions. If I don't know the answer I will try to redirect you to someplace that can answer your question. I want my readers to feel apart of my blog; after all you are spending part of your valuable time reading what I have to say which I am grateful for. I want to thank everyone who has visited my blog several times. I have been blogging for a couple of months now and the number of visitors has been steadily increasing. This is the first of several posts about our experiences at the Lodge this past weekend. The Lodges’ most famous ghost is Rebecca. 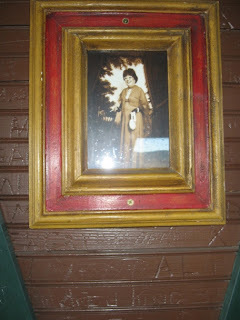 But there is another lady ghost that resides at the lodge. 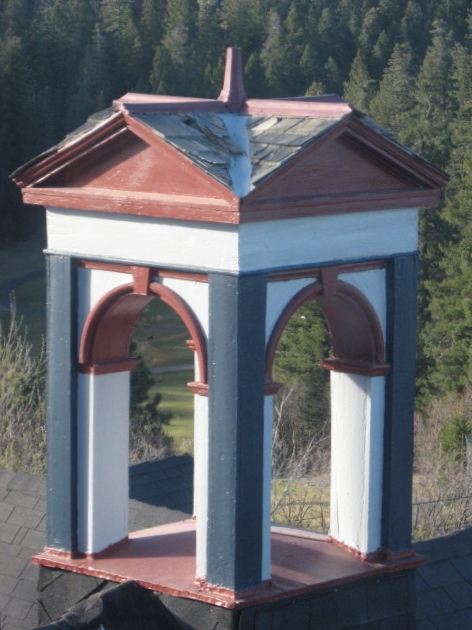 Many years ago a regular female guest requested that her ashes be placed in the Lodge’s tower room when she died. The hotel graciously honored her wishes. Below is the photograph of this lady; it still hangs on the upper tower room wall. Here is an exterior picture of the tower room, it has two levels each with a room that has panoramic views of the surrounding Sacramento Mountains that encircle the Lodge. Cloudcroft’s elevation is over 8700 feet. The morning after our investigation I went out early in order to capture the morning light for my exterior photos of the Lodge. On a whim I decided to visit the tower room once more by myself. 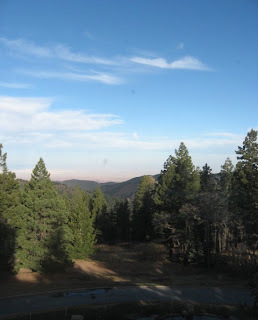 I took a digital camera and a camcorder with me so I could capture the panoramic views from the tower’s windows. As it turned out I captured more than I expected. 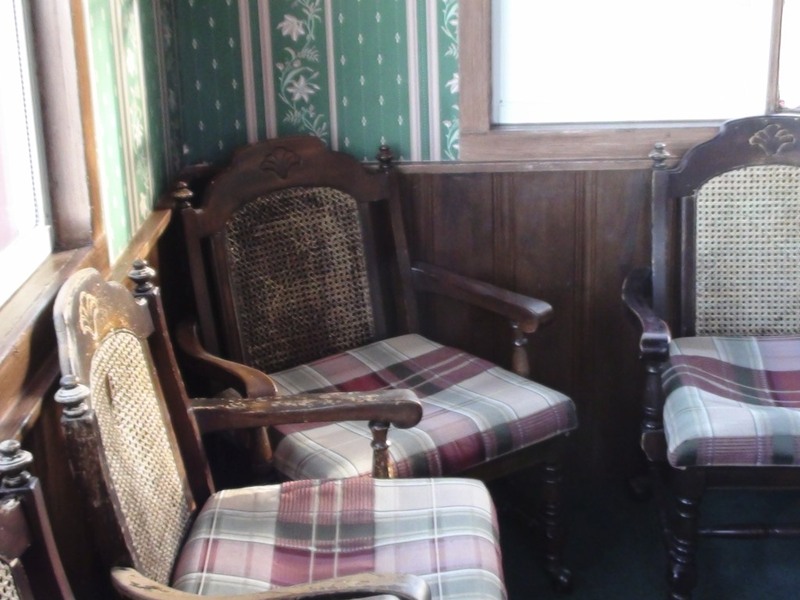 As I moved around the first and second level rooms I thanked the Lady whose ashes reside there for letting my group do an investigation the night before in the tower. I happily chatted with her, I often speak to spirits I feel they respond when you do this. I mentioned to her that I understood why she wanted to be placed there; that I also found the views from the tower to be beautiful. As I moved to the entrance stairway to leave the tower, I again thanked the lady for letting our group investigate the tower. Just as I mentioned that I was grateful that she allowed me to spend some time with her, I spotted lights moving across the staircase below. I immediately started snapping photos with my digital camera. 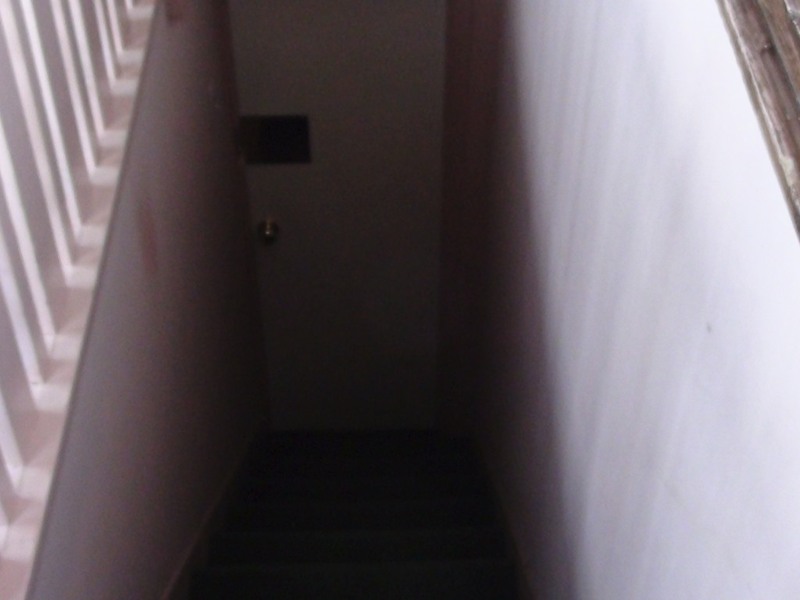 I looked on my screen and was amazed to see a dark mist surrounding the stairs. I kept taking photos every few seconds. I turned my camera several times to take pictures of the first level room to see if the dark mist was anywhere else. 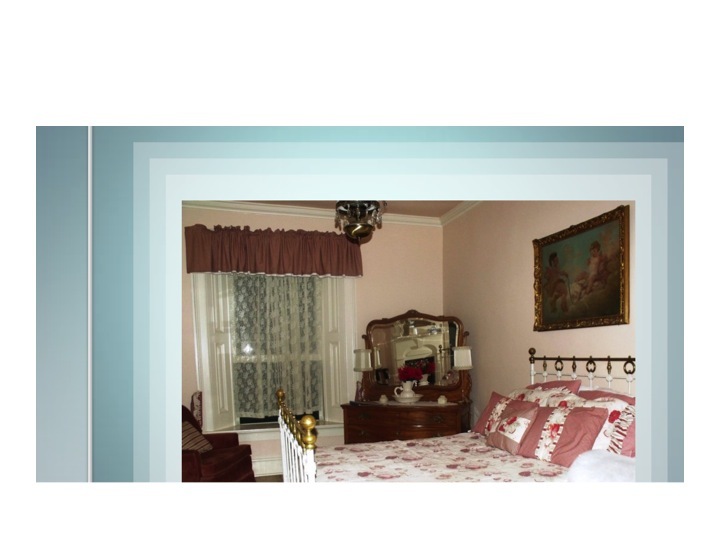 The room photos all reflect normal morning sunlight. Here is a photo I took of the entrance staircase as I entered the tower. I place this photo here to show a contrast of what I captured on my digital camera as I was leaving the tower. There is no dark mist in this photo. The photos below are presented in the original sequence that I took them. What is most startling is that the dark mist lightened and then darkened within seconds from one photo to the next and back again. I spotted moving lights with my own eyes, I do not know if the round lights that appear and disappear from the photos are what I saw as I looked between shots. Note: The sunlight from the tower windows above was not shinning in the direction of the stairwell. When I took this first photo of the entrance staircase as I was leaving I was surprised to see a dark mist on the screen. I took this photo to see if room also had darkened, it hadn't. Seconds later I took this second staircase photo. The mist was darker and there were lights in the same pattern that I had just seen with my own eyes. This photo was taken seconds later and the lights were gone and the mist was lighter. I snapped another photo quickly and the lights were back and the mist was darker again. In this next photo, again taken within seconds, the lights are gone again and the mist is lighter. I took these two photos to see if room was still mist free. In this last photo I took of the staircase the mist seemed to be fading. In the still photos with the round lights they appear to be orbs but I saw lights moving—so I have no idea if I captured the lights I saw or just orbs—but the mist is a definite mystery. Like I stated above I have no explanation for why it so quickly changed back and forth from dark to light and then back. The sunlight in the room was not flickering. Next, I picked up my camcorder and shot some video as I moved down the stairs to leave the tower. This video is not as stable as I'd like but the staircase was narrow and I was holding both cameras. I show it here in order to further document what occurred. The large round light is a reflection from my camcorder; the flashing light captured is different than the lights I saw as I stood at the top of the stairs. A neighbor of mine told me this story awhile back when he discovered I was a ghost hunter. I expected him to laugh at my news but instead he shared this story. Tears came to his eyes as he remembered this experience. I have never seen my neighbor so emotional before, it made me realize he was telling a true story. Everett and his roommate had just moved into a house they were going to rent for several months while Everett worked in the area. As he moved boxes into the spare bedroom he noticed what appeared to be dried blood on one of the walls. He walked over to inspect it closer and realized his first impression was correct. On further inspection he saw what appeared to be a trail of dried blood and to his surprise he spotted chunks that looked like human flesh. Amazed and concerned he called the construction boss who had arranged for them to stay at this house and asked if he knew what was going on. The boss begrudgingly admitted that there had been a violent incident in the home recently. He told Everett not to worry that he would find them someplace else to live as soon as possible. Everett returned to the bedroom and pulled up the carpet along the wall. He realized that whomever had been given the task to clean up the mess had not done a very good job. Disgusted he cleaned up the carpet, wall and the floor underneath. When Everett’s roommate found out about what he had discovered she refused to even enter the room and kept after him to find them someplace else to live. Being strapped for cash, Everett explained that they would just have to wait until his boss found them another place. A few days later Everett went into the spare room to retrieve some items they needed. As he turned to leave the room he noticed that there was a large red stain on the carpet behind the door. Perplexed he went over to take a closer look. In the same area he had cleaned before there was more blood upon the carpet. Everett wondered how he could have missed this large of a spot. He got a bucket and brush and proceeded to clean the carpet and the floor underneath again. For the next few weeks Everett spent most of his time away from the house working. He got a call from his two sons that they were going to be in town for the weekend and could they stay at his place. That night he returned home and moved the boxes in the spare bedroom to the side so his sons could sleep there. His sons arrived after midnight so Everett showed them to the spare bed and told them they would talk in the morning. Around three that morning one of his sons woke Everett up with the complaint that he and his brother couldn’t sleep because their room was so cold. It was in the middle of summer and it was warm outside. Everett followed his son back to the spare bedroom and discovered his son had not exaggerated the room was very cold. His sons then pulled out the sleeping bags they had been traveling with and for the rest of that night they slept on the living room floor. The next morning Everett entered the spare room to see if the temperature had improved. As he turned to leave he spotted a large red stain on the carpet behind the door. His knees went weak at the sight. Not wanting to alarm his sons he cleaned up the spot for the third time. The following Monday he called the local police to discuss what had happened in the house before he moved in. He was told that it was a double murder and suicide. A jealous husband had returned home from the first Gulf War to discover his wife was having an affair. He then killed his wife, four-year daughter and then turned the gun on himself. When Everett's roommate found out that the stain had returned and about the tragedy that caused it she insisted they move right away. The next few days they spent looking for another place to live, which they found. Everett’s boss lent them his truck so they could move quickly. The last day they spent in the house, the boss was dropped off to retrieve his truck. Everett and his roommate looked up and then went down the hall to inspect the room. They didn’t see anyone but they knew who the little girl was. When the boss left, overcome with emotion Everett entered the spare bedroom and dropped to his knees. With tears in his eyes he stated “Go to your Mother Hon. You don’t belong here anymore.” As Everett turned to leave the room, he spotted the same red stain behind the door. My group, like most paranormal groups in the United States today is made up of volunteers. This means we do not charge clients for our time or efforts. I mention this because if you encounter a group that wants to charge you money—be aware that most groups do not. The only exception to this is if a group has to travel, then some clients help out with gas and other travel expenses. When my group investigates commercial properties, such as, hotels, they always graciously give us a good discount on our rooms-- we don’t mind what we do pay because most close their doors to others so we can investigate in private. This weekend we are investigating a Lodge that has fifty-six rooms. 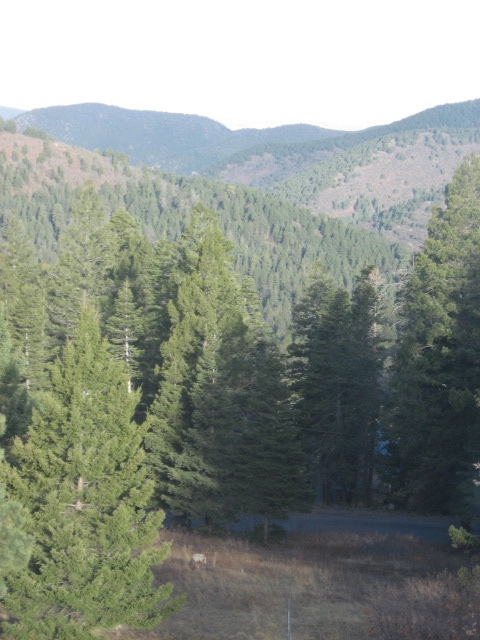 It is a mountain lodge located at 9000 feet with beautiful scenery. There are some nice benefits that come along with investigations. A final thought—if you are looking to join a paranormal investigative group and they expect you to pay for the privilege of going out on investigations with them—run away fast. This is dishonest in my opinion. The only time you should spend money is to help the group buy equipment; when my members do this the items they buy are their property. This weekend my group is investigating a haunted lodge. Today it is an upscale spa, restaurant and hotel. But back in the day it was a traditional frontier stop. The place has many floors and outer lodges that are now upscale guest accommodations. So we are busy preparing our equipment. We have both a haunted tower room to investigate as well several guest rooms that have been very active over the years. 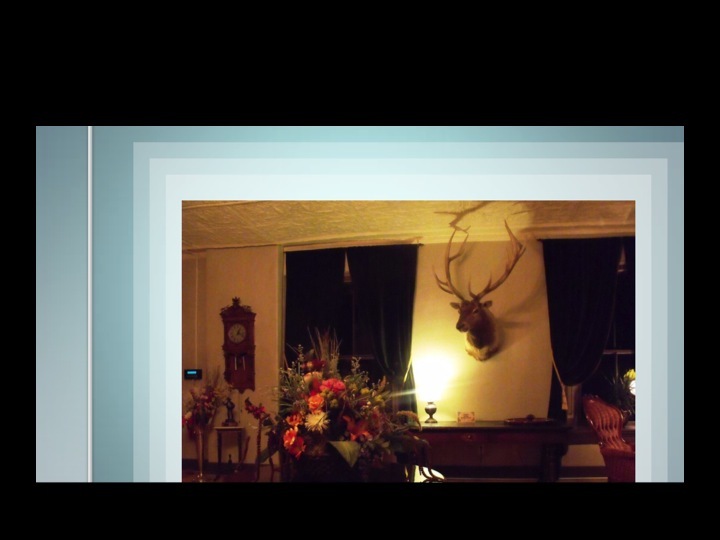 The lodge’s haunted history includes two very prominent female ghosts that have been seen over the years. Guests often see items in their rooms being moved; recently a female guest spotted her purse being moved off the head of the bed to the floor. Another room is notorious because the phone often rings in the room and no one is on the line. This phone has rung even when it is disconnected. I keep my investigative group small. There are several good reasons I do this. First we emphasize “quiet” investigations. This means we keep in mind we do not want to contaminate possible evidence with our own footsteps, voices etc. It is important to mention here--we have captured evidence when we joke around--I feel this happens because the spirits want to join in—so we choose moments to be quiet other times we are just ourselves. We don’t wear shoes so we can move around quietly. To keep things quiet we send in only two people at a time to investigate specific areas. An exception to this is when we do EVP sweeps where we have many recorders going at the same time. We also do photo sweeps, where everyone on the team is taking pictures at the same time, this allows us to use our hand-held IR lights and IR illuminators wisely since these have limited charges. We do this in hopes that if we do capture evidence we can collaborate it on several cameras. We also have IR illuminators that we can plug into outlets and then mount with our Nightshot and IR camcorders that we place on tripods. We use these cameras in areas where our DVR cameras do not reach. If there is no power available then we use our smaller IR lights that run off a charge. Another important reason I keep my group small is so when we do have an investigation everyone on the team who wants to come, can come. This is important because in the past I was with a group who allowed a large number of people to join—this group provided great training but the downside of having such a large group is most of these people didn’t have the opportunity to go on the investigations. Billy the Kid—aka William Bonney’s image has been portrayed based more in myth than in fact over the years. History states he was the most ruthless outlaw the west ever knew. It is claimed he shot 21 men for each year of his life but he didn’t live to see his 21st birthday. The facts present a very different picture of Billy. He was promised a pardon by the then New Mexico Governor Lew Wallace, which he never received. Billy actually only killed four men, the first two in self-defense one because he was bullying him. Billy was slight of build which often made him a target during this ruthless, bloody time. The final two men he killed because of his participation in the Lincoln County War. He fought on what many people of the time considered was the wrong side. He added insult to injury by testifying in court against what was again considered the “right” side so circumstances made him a wanted man and he was placed in jail later for crimes he committed in response to the other side’s persecution of him. The last two men he killed were his jailers. History forgets to mention that Billy was also a duly appointed constable for the side he fought for during the Lincoln County War. Some say Billy actually killed nine men altogether if you include men who were killed during the Lincoln County War but there is no proof it was his bullets that hit these men, plus many men killed and were killed during the Lincoln County War. Billy has been betrayed as a prolific cattle rustler—he only rustled cattle once and that was to take revenge on John Chisum. Billy and Pat Garrett were never friends. The fact is Pat Garrett took Billy’s life in a ruthless manner—he shot him in the back. Billy is betrayed as illiterate, but in fact he could read and write—his letters reflect a keen intelligence. Billy spoke fluent Spanish. He loved to sing and had a good voice. History betrays him as short, fat, and, ugly which wasn’t the case. * People who knew him stated that the famous photo of him was not accurate. He actually had a winning personality and was considered handsome. He was 5’9” tall and very popular with the girls. He was also known as being sweet not ruthless. As a young teenager Billy was the town troublemaker—the crimes he committed during this time were all petty in nature. He knew how to use a gun-- he practiced for hours everyday. He lived during a very violent time but in his short life he never raped, drank to excess, got involved in fights, stole another man’s horse, or killed a man for pleasure. Many violent acts that history has attributed to Billy actually were committed by other men of the time whom history considers not as ruthless as Billy. Lincoln, New Mexico is not a ghost town. But a very famous ghost wanders its streets today. Billy has been spotted in the old jail at Lincoln. He has also been seen in other parts of New Mexico where he lived and worked. There is good reason Billy haunts the areas where he once lived. He probably shakes his head in disgust at how his life has been maligned. * The famous photo taken of him makes him look chunky because riders back then wore many layers of clothes while on the trail. It also makes him look shorter than he actually was. The hat he wears in this photo was not his, the photographer most likely placed it on his head. This actually happens quite a lot on investigations. Battery drain is when most of the equipment, such as, camcorders, digital voice recorders, meters, flashlights, and IR (infrared lights) etc. that use batteries will die individually or all go dead at the same time. The theory is that the spirit(s) are using the battery energy to manifest or communicate. On several investigations I have been on—every single battery in the room has drained—this is a sign that you are standing in a very active spot. Because of this it is very important to always have extra batteries in your pockets and extras stored in a central location, like a toolbox. Before every investigation my group makes sure that everything we use has fresh batteries. Investigators need to always have a small Phillips screwdriver with them because many items, such as, meters have their battery compartments secured with small screws. Battery Drain is especially inconvenient with camcorder batteries. These and IR Lights (I use ones that you can plug into a wall outlet) have rechargeable batteries but it takes 10 or more hours to recharge them. This means investigators have to have several rechargeable batteries on hand for each piece of equipment that uses them. This is both expensive and time-consuming. Because rechargeable batteries often take days to recharge. I plug in camcorders into to the wall to keep them running if there are outlets available during an investigation-- I use long extension cords to keep the camcorders and some of our IR Lights running for hours that are mounted on tripods. This is an added bonus because spirits do not tap into electrical sources as often as they do batteries. The best batteries on the market today are “Lithium” based. I buy Energizer batteries and Energizer Ultimate Lithium batteries. Most camcorder batteries are lithium based. I avoid buying alkaline batteries they just do not last as long. Of course any battery can be “drained” but I find lithium batteries last much longer. The upfront expense is more but they are worth it in the long run. I encourage use of more reliable batteries because when you experience activity-- you do not want to have to stop and change batteries constantly. You can’t completely avoid it but you can cut down on how often it happens. This will give you a better chance to capture evidence. 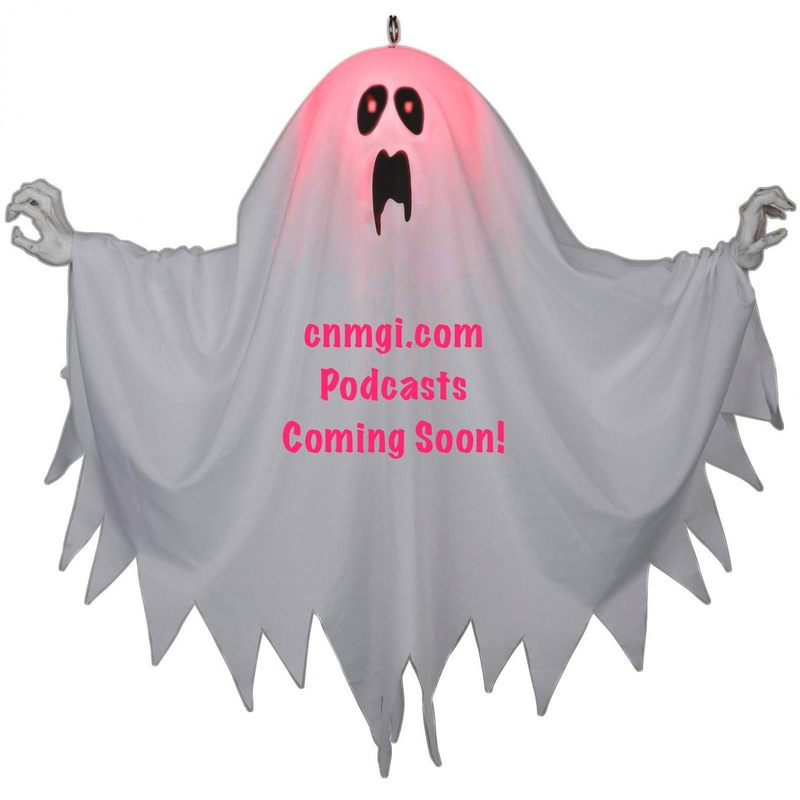 Why do people actively seek out or hunt ghosts? The stereotype is that we are pursuing "thrills and chills." This is not accurate. It can be very interesting and fun--sometimes. But my goal is to help others and find answers. Often young people, college age, ask me if they can come on one of my group’s hunts. When I ask them why they want to come, this is their standard reply: I want to experience a scare. 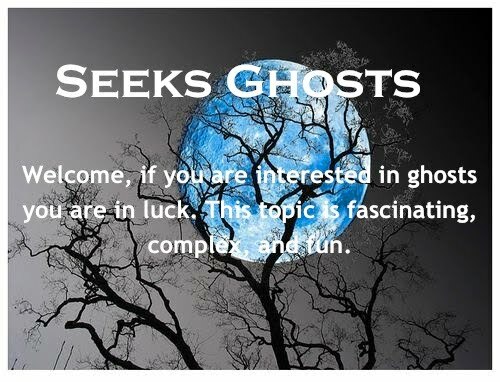 It is hard for me to explain to them that the last person I want on a ghost hunt with me is someone who wants to have a frightening experience. I say be very careful what you wish for—you might just get it. The following is an incident that happened to a friend of mine. She did not wish for it. She moved into a house on the west side of town. Shortly within moving in activity started. It became so prevalent that workmen who were helping her renovate started bringing all kinds of religious objects to protect her and themselves. She ended up sealing most of these items into her walls. What these workmen didn’t know was just how aggressive one particular energy was. My friend was experiencing a form of an “incubus.” She would wake up during the night aware of something that was not visible touching her. An “incubus” is a very negative, aggressive energy who violates women in a sexual manner. 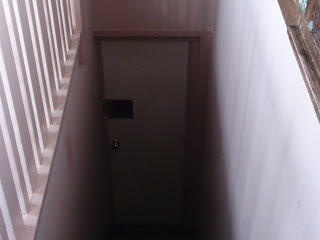 My friend’s boyfriend, a very tall strong man, was aware the house was active; he in fact had many encounters while he lived there. 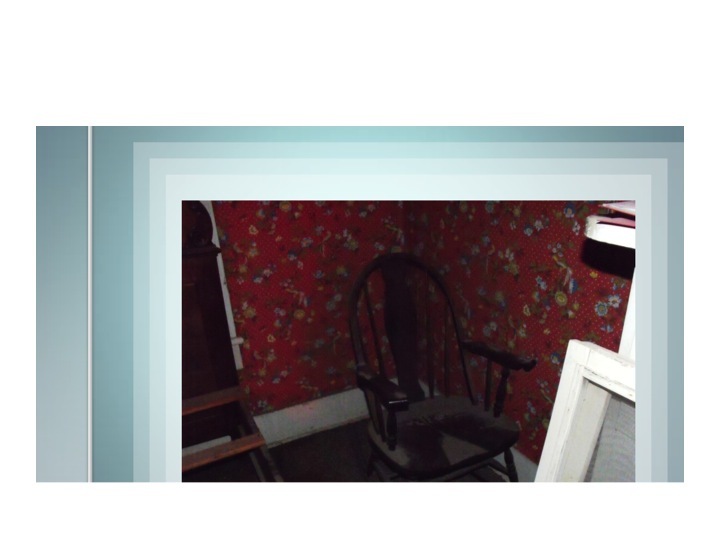 There were other types of ghosts in this house as well. This “incubus was so aggressive that one night as it tried to pull my friend off the bed, her boyfriend woke up, grabbed her and tried to prevent it from happening. This incubus then proceeded to pull both of them right off the bed. This experience was extremely frustrating—how do you defend yourself against something you cannot see? This house still has activity but not as much since it has been smudged/cleansed and blessed. My friend still lives there. These kinds of encounters are rare but they do happen. Whether you use traditional film or digital cameras there are standard anomalies you need to be aware of when taking pictures so you don’t think you have captured something paranormal. Always take camera straps off your equipment. Literally thousands of photos have been misrepresented as paranormal phenomena because they have a glowing or fuzzy band, or bar —they are camera straps that fell in front of the lens. The only exception to this rule is camcorders that have hand straps permanently attached to the side. If you see a photo that has one of more streaks of light in the frame more often than not this phenomena is not paranormal. “Light Lag” has actually occurred. A long exposure (shutter stays open longer than normal) combined with the camera being moved, even slightly causes this. Point and Shoot cameras are often the main culprit for Light Lags. The picture below is a classic example of this. Orbs are circles of light that show up, they are transparent, and come in all colors. Orbs are not paranormal. They are caused by pollen, dust particles, moisture, and static, etc. in the air. Regardless of how they appear they are still not paranormal. “Orbs” are the most common mistake made. This large orb to the left of the TV we caught on one of our DVR cameras. The light on the blind is a reflection of a light from the camera lens. Cigarette smoke is often misidentified as paranormal in nature. Smog, fog and mists caused from moisture in the air are often misidentified as paranormal in nature as well. Ghost investigators avoid taking pictures outside in rainy, stormy weather because of this. Here are a few more common mistakes: flash reflections, reflections from shiny surfaces, and “Lens Flare” which occurs when the camera is aimed at the sun or bright lights. Bugs are often mistaken for paranormal activity. The light from the camera makes them appear to be solid white and glowing. Long Exposures besides causing Light Lags also cause this effect-- if a person moves even a little bit while the camera’s shutter is open-- they will appear semi-transparent. The top photo is an example of our flash reflecting off shiny surfaces outside. 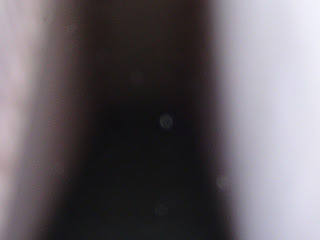 The second photo is a rainbow reflection off one of our DVR camera lenses. This mirror is an example of how shiny objects can reflect--its outline is reflected upon the wall. Many ghost hunters feel that the best time to hunt is when it is dark or at certain times during the lunar cycle. Along with this, many believe that when solar flares are active or, when there is a lot of geomagnetic activity in space it is a good time to hunt. So why are these beliefs widely held? Let’s start with hunting in the dark. People experience spirit activity during the day as well as at night. So do ghost hunters choose nighttime just to have a scarier experience? Actually no. There are several valid reasons why night hunts are preferred over daytime ones. The top one is nighttime tends to be quieter than daytime. If ghosts make sounds you can hear them. Television shows always betray hunts taking place in total darkness, which is fine, but a lot of groups when they hunt at night keep the lights on—this is considered easier. Our group turns off the lights and hunts at night because we feel spirits are more active at night than during the day. We also hunt at night because it is practical. There are less people, cars, etc. around. With less distractions around we can hear and smell more, and notice activity more readily. Lastly, we consider night hunts optimum because our investigators are off work at this time and stores, restaurants, and other commercial places we investigate are closed. Does a full or new moon affect spirit activity? Sometimes. Full moons impact the living and more often than not when my group has investigated during full or new moons we hear, see and pick up more EVP’s. I think most groups have experienced this same phenomena so they also take advantage of the lunar cycle. Many paranormal groups check to see when solar flares are active and when geomagnetic fields have reached a storm level. It is believed that spirits tap into these two energy sources because it helps them manifest easier. Again, we don't always pick up activity during these events. So I cannot state that solar flares and heightened geomagnetic activity guarantee spirit activity.